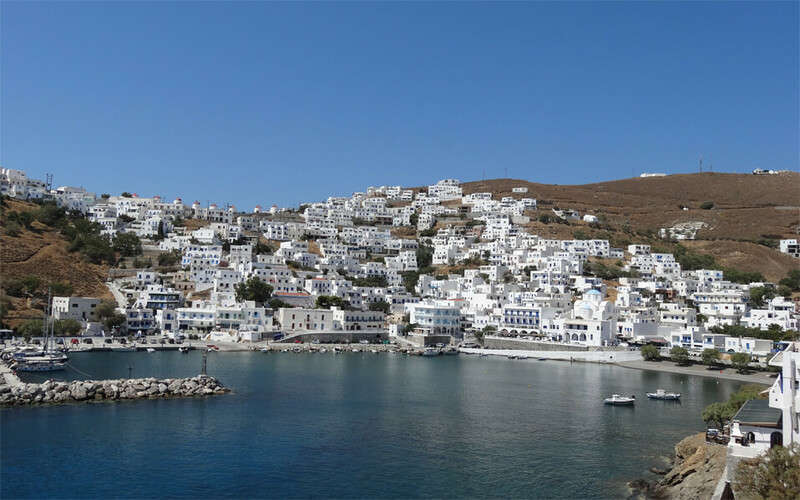 From the very first moment you meet the beauties of the island and the polite and hospitable residents, you visit Astypalaia again and again. The tourist infrastructure that is provided welcomes you and an intriguing combination of landscape of Kyklades and Dodekanissa is unfolded. 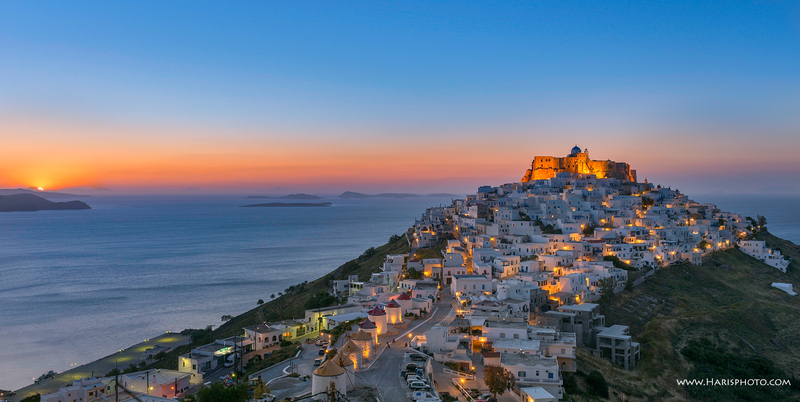 White houses and picturesque streets begin from the port of Platis Yialos, climbing up the hill, meeting Chora and leading to the Venetian Castle. In the castle are built two churches you should visit Virgin Mary of the Castle and St. Georgiou, while just below is the church of Virgin Mary Portaitissa. 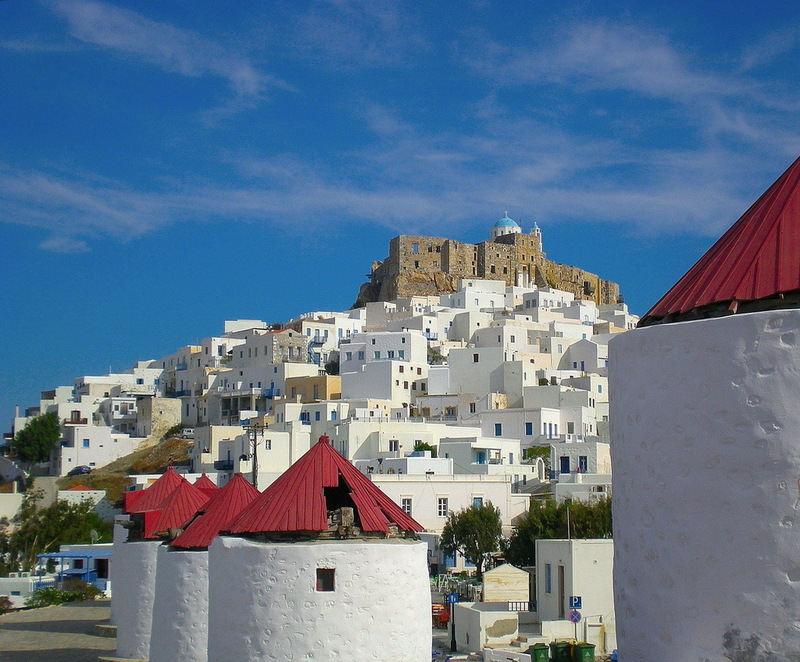 The windmills are the most characteristic points of Chora and a famous meeting point, with a lot of shops and taverns nearby that take care of you tasting the local delicacies but also of your evening amusement. 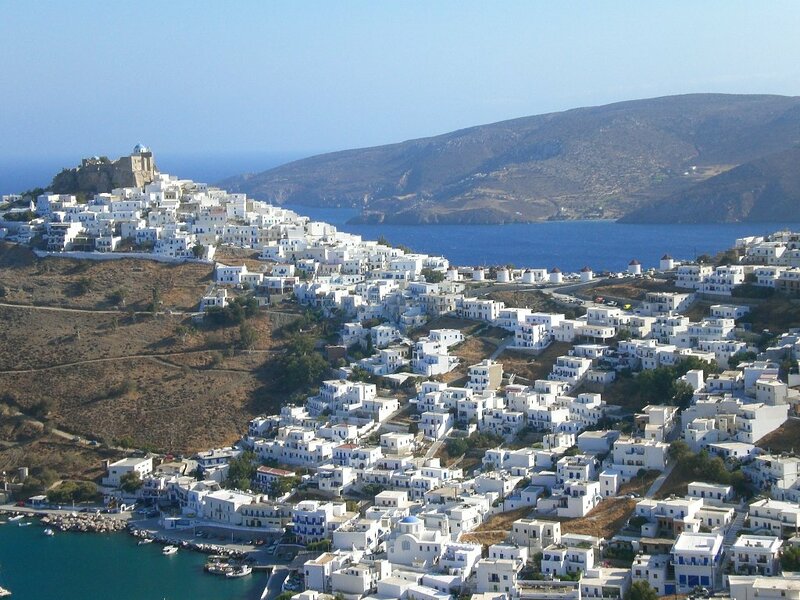 The island of Astypalaia consists of two pieces of ground that are linked with a band of land, called Steno. In the left side it is worth visiting Livadi and you enjoy your swim in this big beach, while cafeterias and taverns with traditional dishes and fresh fishes wait for you. 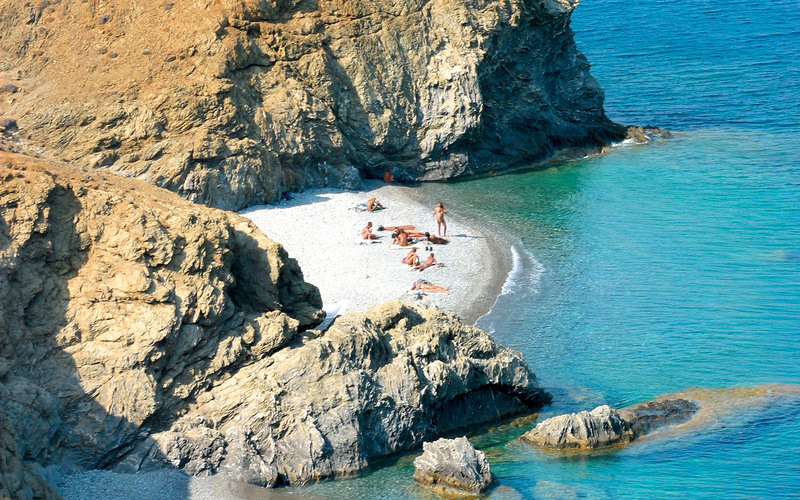 Passing Livadi you will meet the beautiful beach of Vatses and that of St. Konstantinos, while Kaminakia and St. Ioannis are easily accessible by boat. 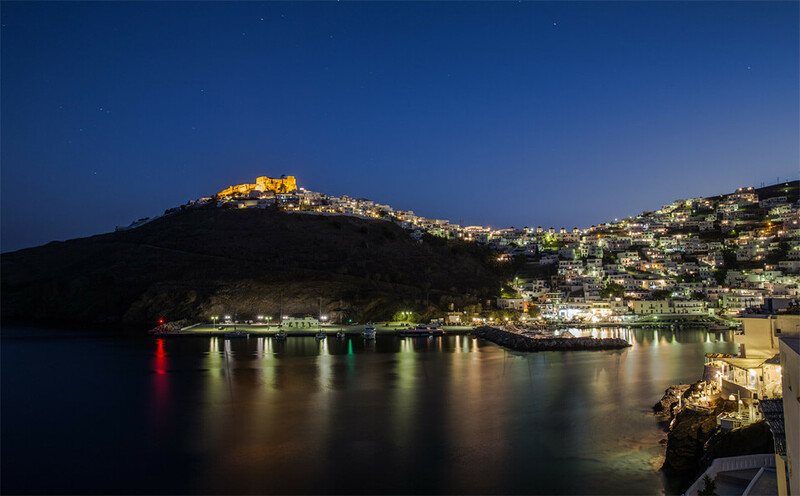 In the Eastern part of Astypalaia, you will find Analipsi, which is a developed tourist resort with a charming sandy beach. Analipsi is named also Maltezana, because of Maltese pirates that dominated in Aegean and found shelter in the bights of that region. From there, you can go north to Vathi, a picturesque village in the banks of a lagoon. Interesting sights are the Drakos’ Cavern, the Cavern of Negri and the Italian fortress of Kastellano. The residents of the island are very calm and hospitable. They will narrate the history of their island; they will tell you about the marvels that are connected with some of the 300 monasteries and churches that are on the island and they will treat you local honey, cheese and other traditional products. 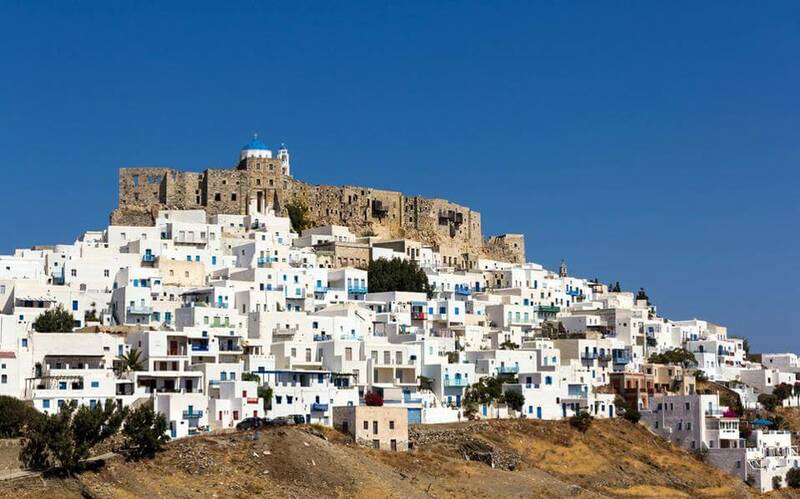 The island of Astypalaia has its own slow rythms, gaining effortlessly the heart of the travellers.